Our services are fully bespoke and available to clients across Sussex, Surrey, Kent and the South East. 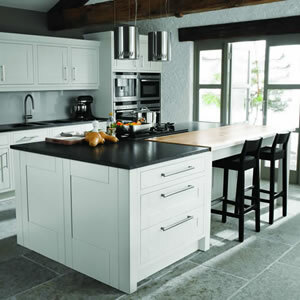 We can install over 500 ranges of kitchen including contemporary, modern and traditional designs. 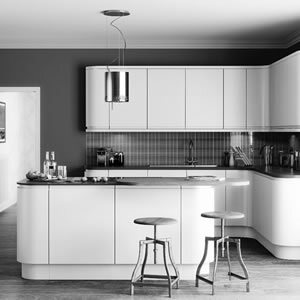 Our kitchen design and fitting is smooth, hassle-free and completed within agreed timescales. We have a number of worktops to add that finishing touch including Natural Wood, Granite and Corian. 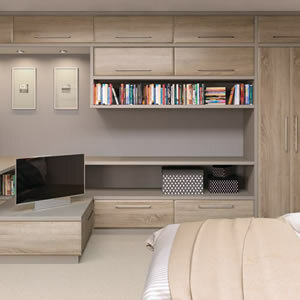 We have expanded our services to include stunning, individually designed fitted bedroom suites. We now offer a range of bathroom suites that can be modified and tailored to your individual needs. Welcome to Rightside Kitchens' website. Here you can see the wide range of kitchen, bedroom and bathroom styles and solutions we offer across the South East and find out about our unique approach to designing and fitting your new kitchen, bedroom or bathroom. We're Sussex based and always available to answer any questions or address any concerns you may have. Please browse through the site to find out more about us and view our range of design and installation services. Every aspect of our design and fitting services is centred around you. We design your kitchen to meet your individual and unique needs and take great care of your property during the installation process. With an almost limitless range of units, doors and appliances we make sure your kitchen is all about you. Choose a contemporary look, go for a timeless, traditional design, or mix and match. Your taste. Your lifestyle. Your budget. Don't settle for a standard, off-the-shelf kitchen. Make your kitchen yours. Our bedrooms are a place we can go when we need rest and relaxation. We understand that to create this oasis, everyone's needs are different and we offer a truly diverse collection of bedroom suites, so you'll be able to furnish your entire bedroom in a style you love. We offer a professional bathroom design service to help you create your ideal bathroom. We can install traditional, classic, contemporary and modern designs to suit large and small bathrooms alike. We promise to help make your dream bathroom easy, from initial design through to installation. “Our current kitchen is the second one that Mark has fitted for us. We were so pleased with the way the first one was handled that when we took on a major project with our current house, Mark and Rightside Kitchens was first in our thoughts. “We are delighted with our beautiful new kitchen. It has become the centre of our home, a pleasure to cook, relax and entertain in. This kitchen is perfect for modern living, offering elegance, practicality, storage, and light. The attention to detail is apparent in the planning, design and fitting of this quality kitchen. 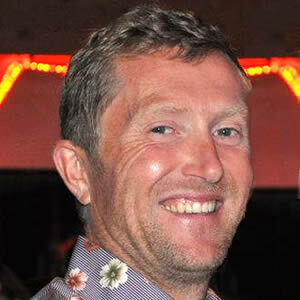 Mark Friend-James, Sales Director of Rightside Kitchens, has over 15 years experience in kitchen design and fitting. He's worked in a broad range of roles in the sector, including design, project management, production and contract management. He's highly creative, with an eye for detail and passionate about delivering results - the vast majority of Rightside Kitchens' work comes from recommendations which speaks volumes for customer staisfaction. Rightside Kitchens will handle your project from start to finish on a very personal basis, beginning with our Sales Director coming to your home with a range of samples and brochures detailing our extensive range of kitchen designs, appliances and accessories. A survey will be carried out as well as a discussion of your needs and wishes. This will be combined with our advice and culminate in an individual design for your kitchen. Rightside Kitchens can supply and install kitchens for every budget. We can design and fit kitchens in all types of property across Sussex, Surrey, Kent and Hampshire, so why not give us a call to discuss your requirements and to book your design consultation?